Unfortunately, coming to an estimation of orangutan population is not as simple as counting each individual orangutan. Barring the common challenges of working in a natural environment, there is also the problem of orangutans being tree dwellers. They sleep, travel and search for food on tree. It is very rarely that you will chance upon orangutans on the ground though they do come down periodically. To get an estimate of an orangutan population in an area, scientists count the nests that the orangutans use. Orangutans build nests atop trees on a daily basis. This means that finding nests in the area is a sure indication of orangutan presence. Currently using nests to estimate an orangutan population is the most accurate way of counting them in the wild. There are three known methods for nest counts – ground nest survey and aerial nest survey using either a fixed-wing drone or a helicopter. 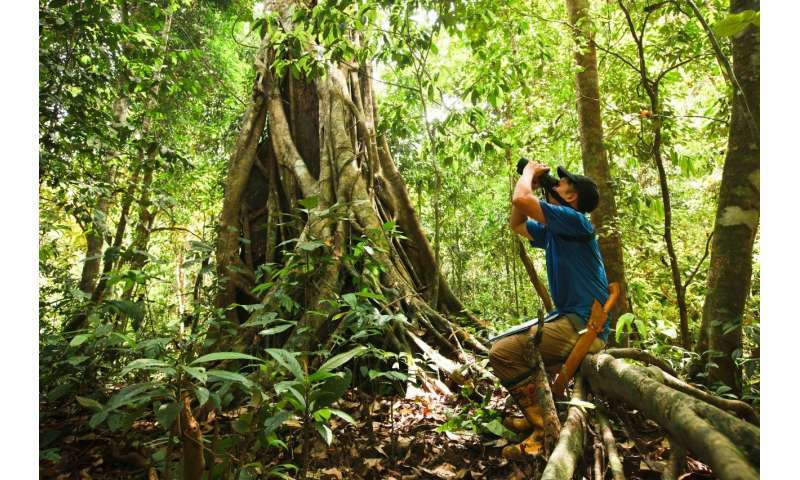 Of these three methods, WWF-Malaysia most commonly employs ground and helicopter surveys. Counting orangutan nests, whether aerial or on the ground, presents many challenges. Though considered more effective than a ground survey as it can cover a larger area in a shorter span of time, aerial surveys are extremely expensive. An aerial survey requires the services of a helicopter and its pilot. 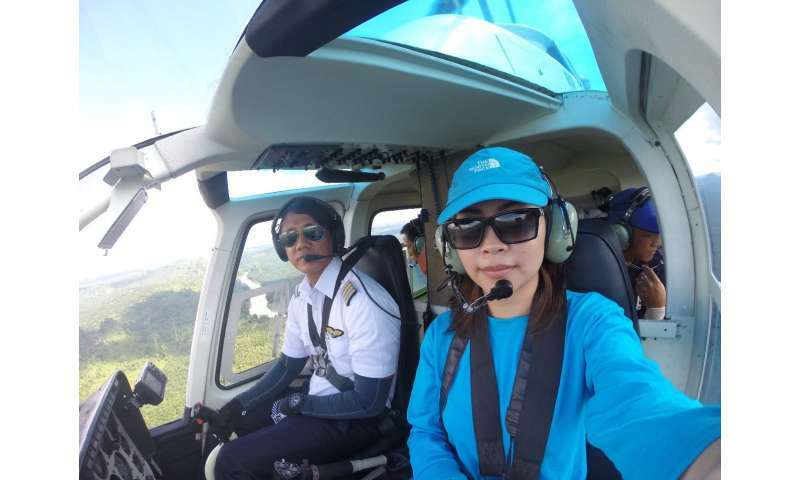 In general, a helicopter survey will cost approximately RM70 per minute. To give a rough estimate, the field team spend between four to five hours surveying in day to cover more that 80,000 hectares. This means that a day's worth of survey can cost up to RM21, 000! Ground surveys are cheaper to conduct than aerial surveys. However, ground surveys are gruelling, involving long trekking hours on challenging terrain. Surveys on the ground will also cover a much smaller span of area for the same duration of an aerial survey. Added to this is the consideration of field expenses including logistics and salaries. Surveys, both ground and aerial are also not without error. A good orangutan estimate requires accurate nest counts and nest decay estimation to be conducted simultaneously. Unfortunately, we have not been able to do that as it takes at least two years to acquire nest decay estimates. The first WWF-Malaysia aerial survey was completed in 1988. Since 2014, WWF-Malaysia has carried out numerous helicopter surveys to survey orangutan population in important orangutan habitats. While ground surveys are cheaper to conduct, the WWF-Malaysia orangutan team is small, consisting of only 4 field staff, while the areas in Sabah are vast. The largest orangutan habitat in Sabah is within Ulu Segama, which is four times the size of Singapore. Surveying this area using manpower on the ground will take years to complete. While expensive and imperfect, population surveys are integral to our work with orangutans. Identifying orangutan habitats in the wild and estimating their population numbers will help us make informed recommendations on land use. At present, we spend 25 percent of our survey efforts to survey eight out of 16 major orangutan populations in Sabah. This is the highest survey effort ever conducted on great apes in the world. WWF-Malaysia is currently exploring other alternatives for counting orangutan that may hopefully make the task easier and more accessible in the future. We hope to discover new ways forward in determining orangutans and other wildlife population that is cost-effective and accurate to better capture our wildlife landscape.